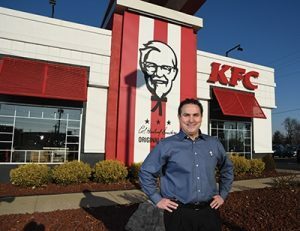 As Golden Corral begins moving in to dozens of former Ryan’s, Old Country Buffet and HomeTown Buffet sites, the buffet leader is experiencing both the growth and cost benefits of restaurant conversions. Seizing an opportunity is just good business. When its primary competitor filed for bankruptcy in March 2016, Raleigh-based Golden Corral did not waste a minute inquiring about Ovation Brands’ more than 170 restaurants that were being shut down all over the country. Buffets, LLC, the operator of Ryan’s, Old Country Buffet and HomeTown Buffet, is a subsidiary of Eagan, Minnesota-based Ovation Brands, Inc., which operated north of 370 restaurants in 2004. Today, as Buffets/Ovation Brands continues to close more than 170 locations, the 16-year-old company is left with fewer than 150 remaining outlets. 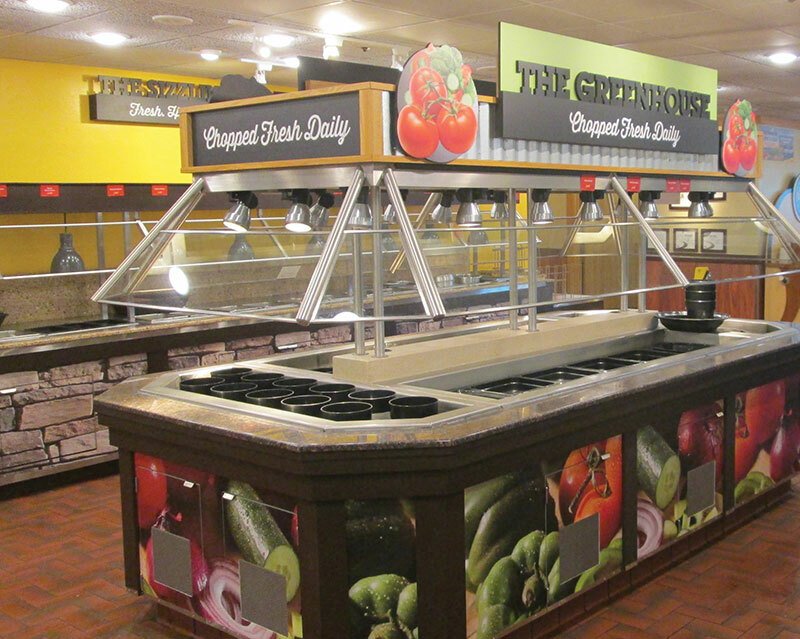 Enter Golden Corral, the nation’s largest grill-buffet franchise with 485 restaurants. 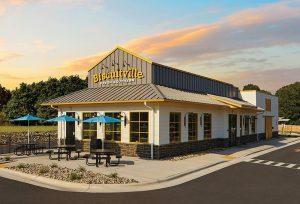 Last year, the 44-year-old franchise opened 15 new locations and this year, thanks to the Ovation Brands closures, Golden Corral will open 20 new restaurants. When all is said and done, Golden Corral hopes to convert about 30 of the approximately 170 consolidated sites. Golden Corral especially has its eye on new markets like San Diego (two deals currently in negotiations) and Connecticut (a former HomeTown Buffet site recently was acquired), as well as underdeveloped regions of the West and upper Midwest, particularly in Minnesota where Golden Corral had not had an outlet since 1986. 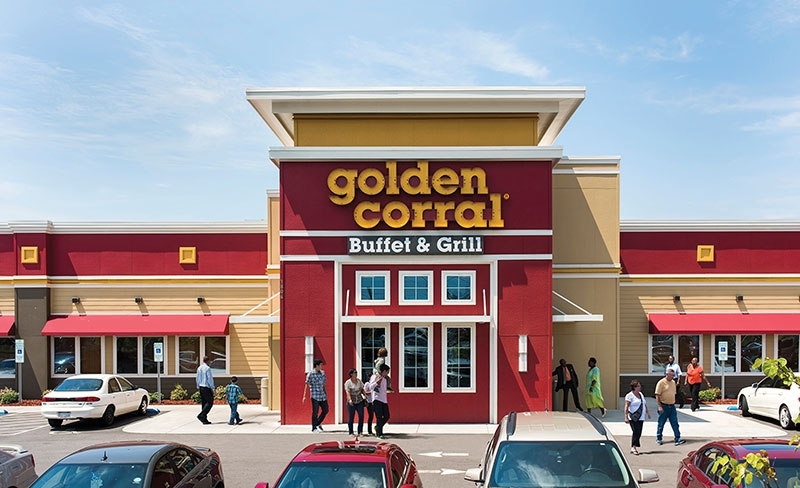 So far, Golden Corral recently converted four restaurants, including closed Ryan’s restaurants in Florence, Alabama; Decatur, Alabama; Maple Grove, Minnesota; and Maple Woods, Minnesota (both suburbs of Minneapolis). Golden Corral currently has 13 locations in various stages of development and many more on the horizon, with finished letters of intent, leases in negotiation, etc. The Northeast presents an “ongoing opportunity,” according to McDevitt, particularly in Long Island and Upstate New York. Cross-country, two deals are currently underway in the greater Los Angeles area. Once Golden Corral moves forward with a conversion site, the rest falls into place fairly easily. Because the Buffets/Ovations restaurants were originally designed as buffets, adapting to their space is almost seamless. Ryan’s, especially, is a natural fit. One key difference is Ryan’s use of ‘scatter bars.’ Basically, the buffet equipment is out in the open and guests can traverse at 360 degrees around it. The vast majority of Golden Corral’s buffet equipment is one-sided from a guest perspective and accessible 100% of the time from a coworker perspective. Coworkers were set up against the kitchen. Another difference is the order entry area. In the Buffets restaurants, there was noticeably less room in this area because drinks were included in the price of the buffet. At Golden Corral, drinks are separate and the order entry area also houses a drink-dispensing machine where guests come in, look at the beverage selection, choose a beverage, pour their beverage and put it on a tray. What makes it attractive are all the other items already in place. The building is there, for one. Most of the equipment is very similar. The space is big — as all buffets have to be. 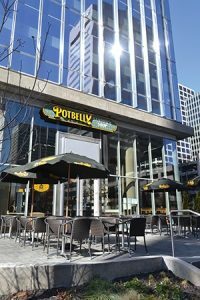 Franchisees love conversions because permitting is easier, costs are lower, and in almost all cases, the equipment is already there. 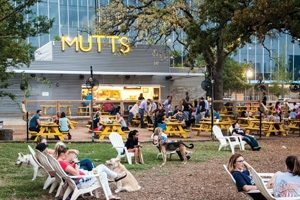 While having a building and equipment already in place sounds appealing, maintaining these converted buildings can be a bit of an adventure. They are not always “move-in-ready.” For instance, many of the Ovation Brand restaurants being converted are already 20 to 25 years old. Equipment is literally left “as is” with little to no warranty information. 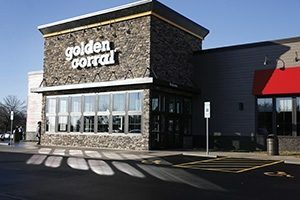 According to Golden Corral’s vice president of construction, Gary Custer, the company takes a decentralized approach to its repair and maintenance work. This allows franchisees and store managers to hire service technicians locally. The company does have a corporate facilities department that handles programmed maintenance for its stores, and it does rely on certain national service vendors for its national accounts, such as Lennox Corporation for HVAC and Captive-Aire for ventilation work. 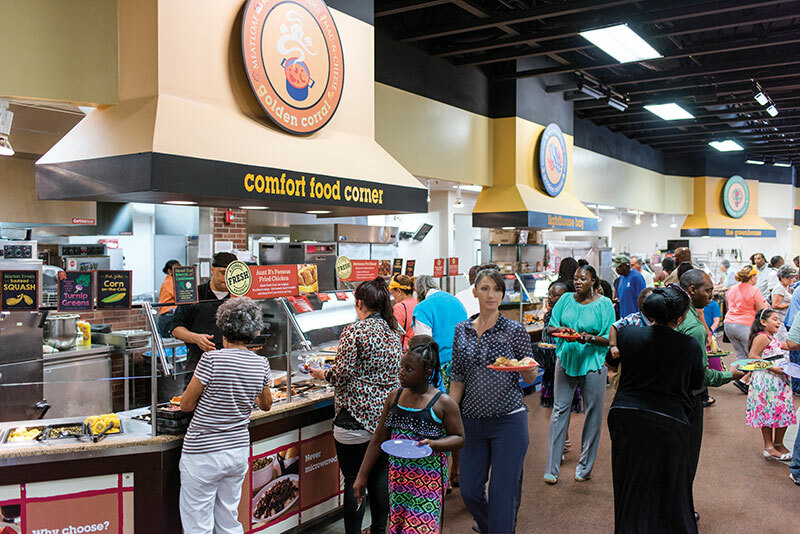 According to Custer, almost all Golden Corral facilities now use LED lighting, which saves both energy and maintenance costs. Mechanical HVAC units are high-efficiency, utilizing variable frequency blowers and the latest scroll technology compressors. Hood systems, too, use variable drive fans that ramp down when not in use, minimizing the amount of conditioned air being exhausted. Golden Corral uses the latest perforated plenum systems’ return air ducts on its hoods that also minimize make-up air volumes. All water devices are designed to use minimal water, and all water heaters are tankless. Fabric ductwork allows for better air distribution, which, in turn, creates greater comfort. — This article originally appeared as the November 2016 cover story of Retail & Restaurant Facility Business magazine. Email the editor at katie@francemediainc.com.